I can’t believe I’ve reached the end of this card series. Thank you all for joining me for the past 31 days and for leaving such wonderful comments that have motivated me and made me feel very appreciated. It’s been fun to make a few new friends through this month long adventure. I hope I’ve inspired some to reignite their crafting passion and for others to maybe venture out and try something creative. In any case, I thank you all for coming along with me. I made Card #31 in your honor. But before we get to Card #31, the winner of yesterdays daily giveaway is: Girl Gone Expat who said, “What a great idea! Have to remember that one next time I bring out my scrapping gear! Beautiful card.”. Thank you for the kind words and Congratulations Girl Gone Expat! 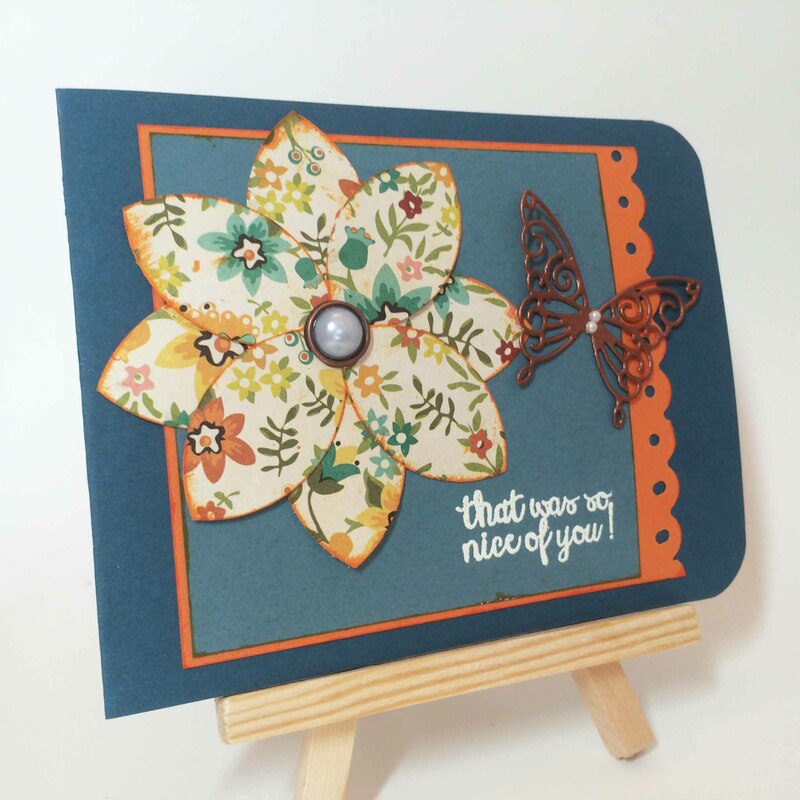 After Card #30, the Medallion Flower card, I wanted to do another flower card. 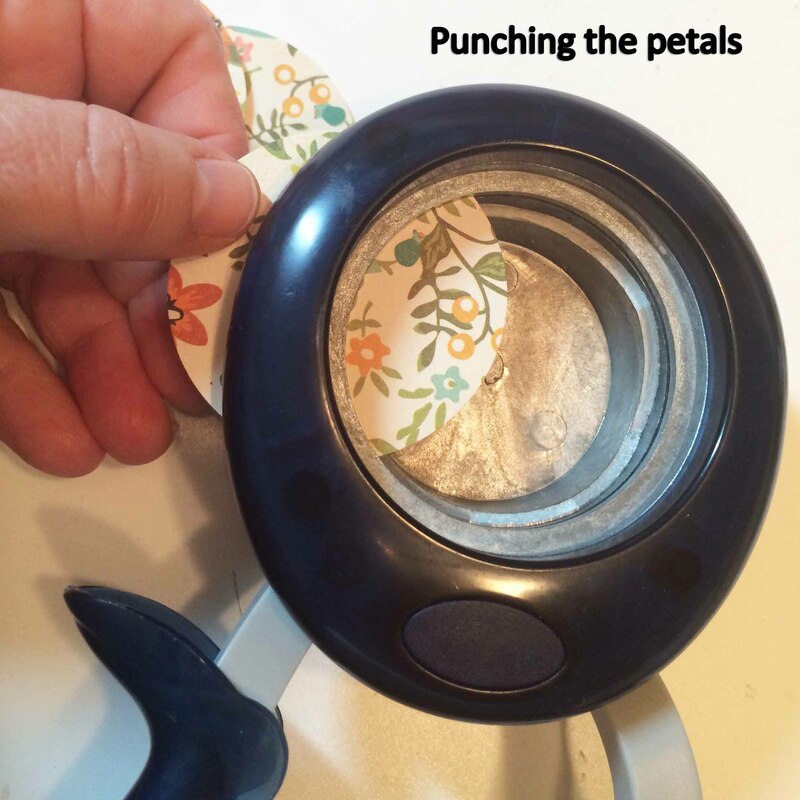 This time, I used the same circle punch, but after punching the circle, I used the same punch to cut out a petal shape. 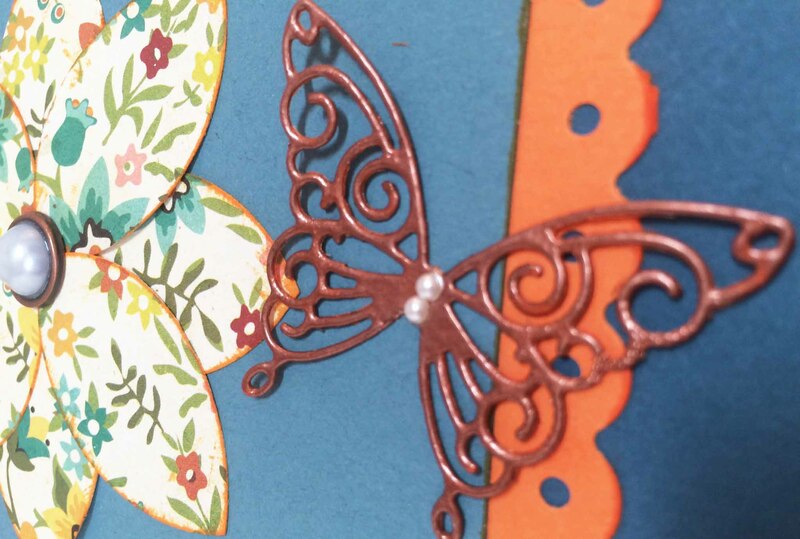 And of course, the card wouldn’t be complete with out a butterfly – a copper one this time. 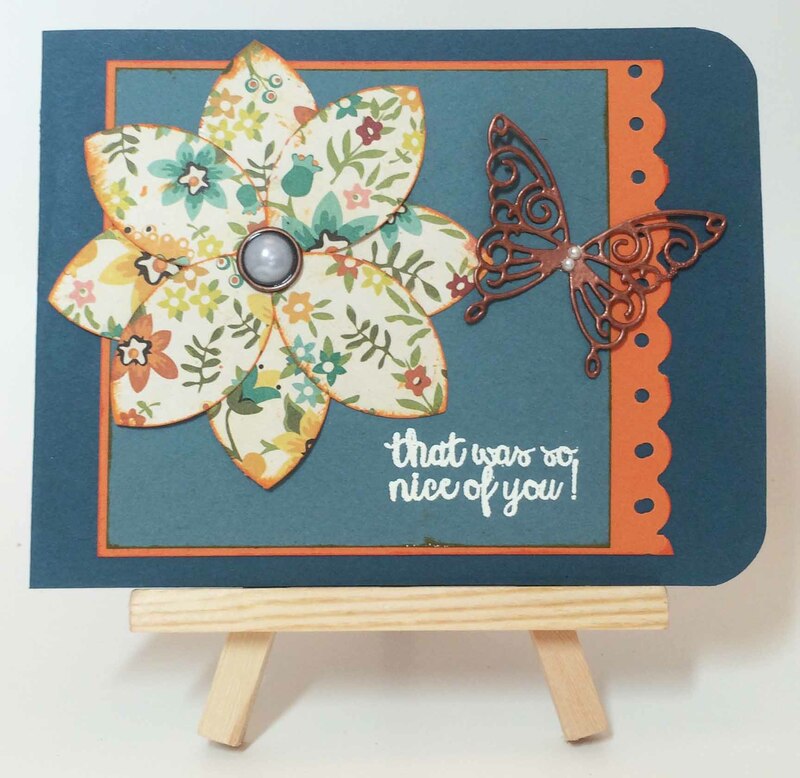 For this card I used teal cardstock (4 1/4″ X 11″) for my base, orange cardstock (4″ X 4 1/2″) for the frame, lighter teal cardstock (3 3/4″ X 3 3/4″) for the inside frame and patterned paper for the flower. 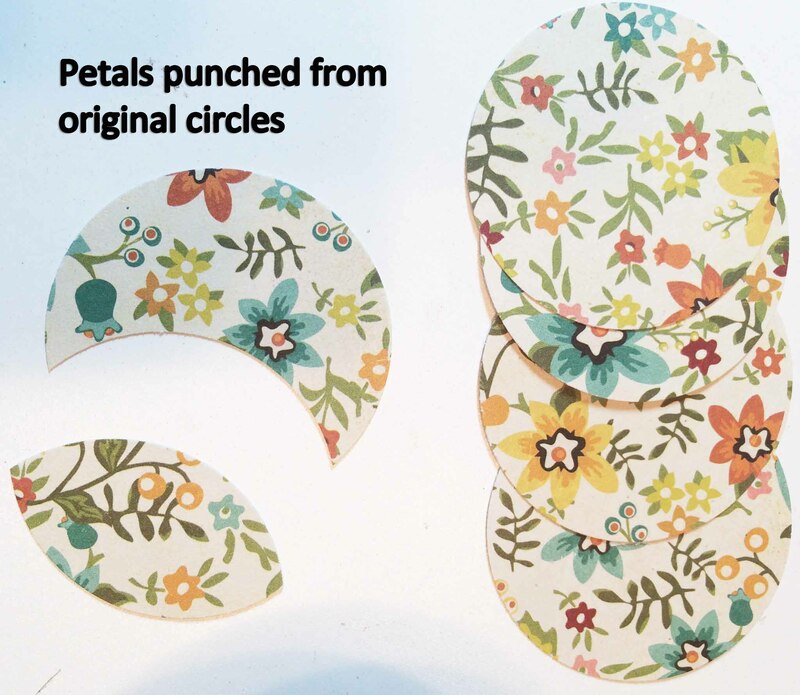 I started by punching 4 circles from the patterned paper. Then I put each circle back into the punch and cut out 2 petals shapes from each circle. I inked around each petal to give the piece some dimension. 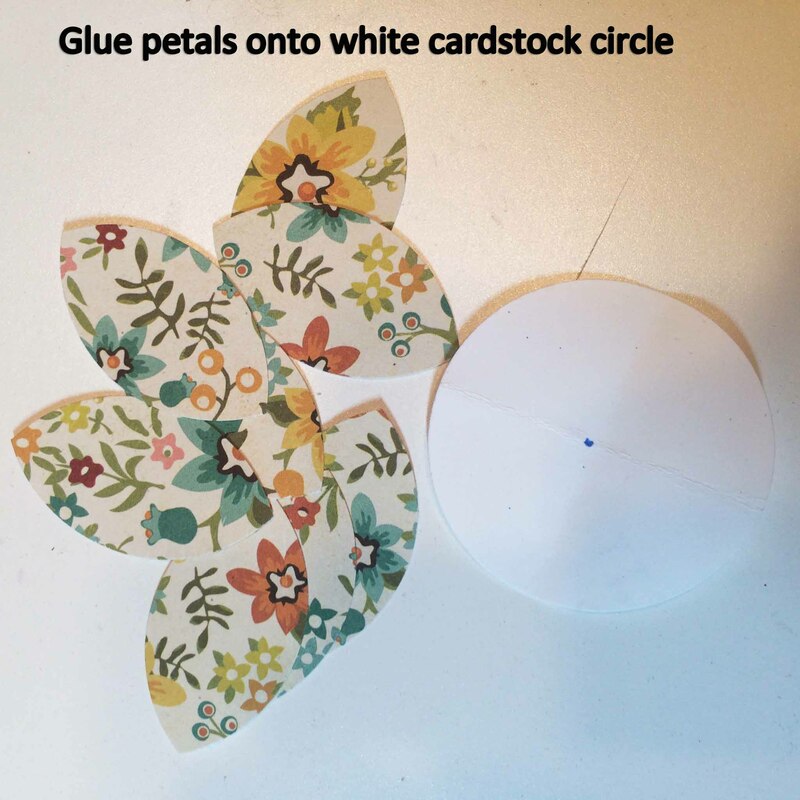 I then punched out a circle from a piece of white cardstock to attach all the petals. 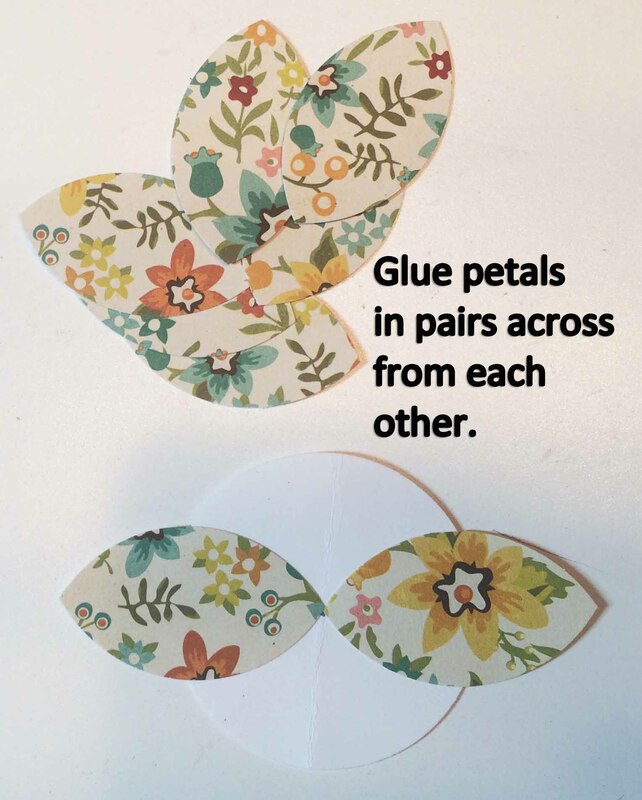 I glued the petals in pairs across from each other. Once they were all glued down, I pierced the center of the flower and attached a pearl brad. To finish the card I rounded the corners of the teal cardstock base, punched the orange cardstock with my scallop border punch and inked the edges of the orange and light teal cardstock. 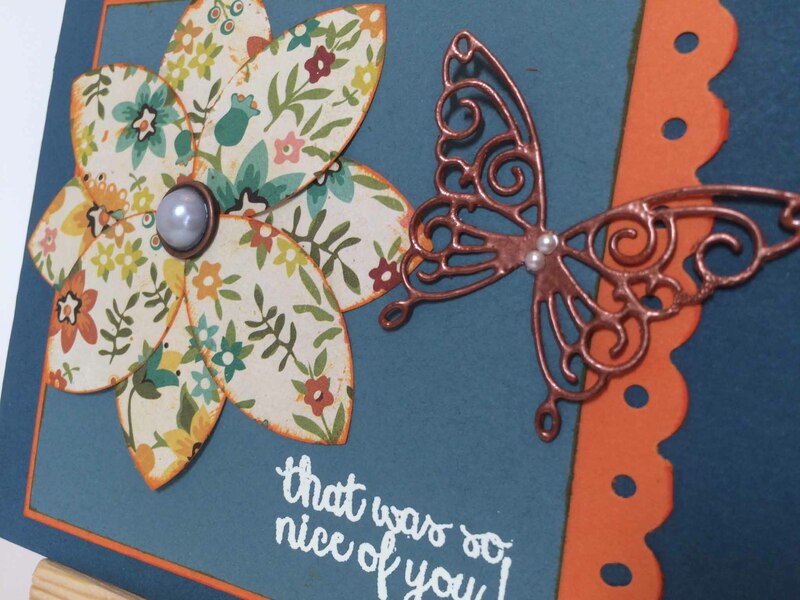 I die cut a butterfly, inked it with Versamark and embossed it with copper embossing powder. The pictures really don’t show how cool this butterfly looks. 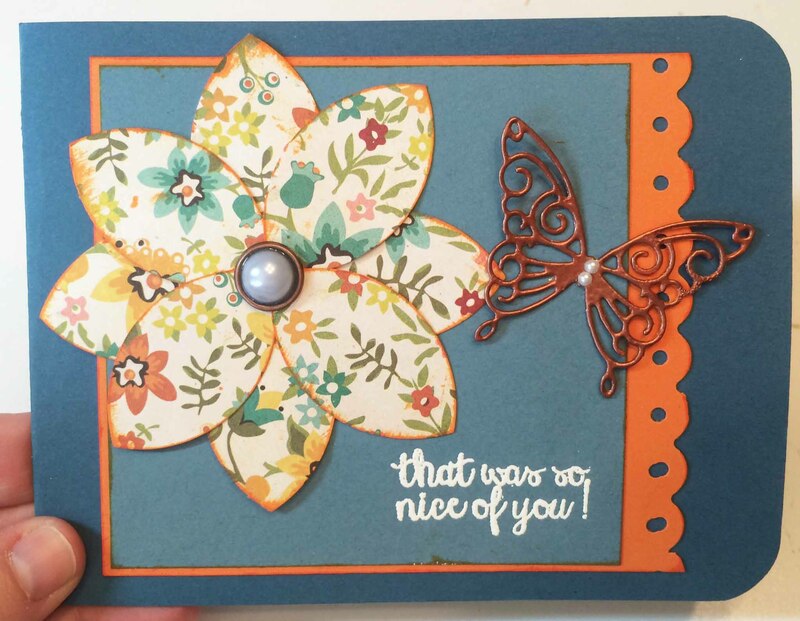 I glued the light teal cardstock to the orange, attached the flower, the butterfly and cream embossed the sentiment. The final touch was a couple of pearls attached to the center of the butterfly. Remember to leave a comment below and be entered to win this card today and possibly the Grand Giveaway of all 31 cards on February 1, 2015 (tomorrow). Wait! 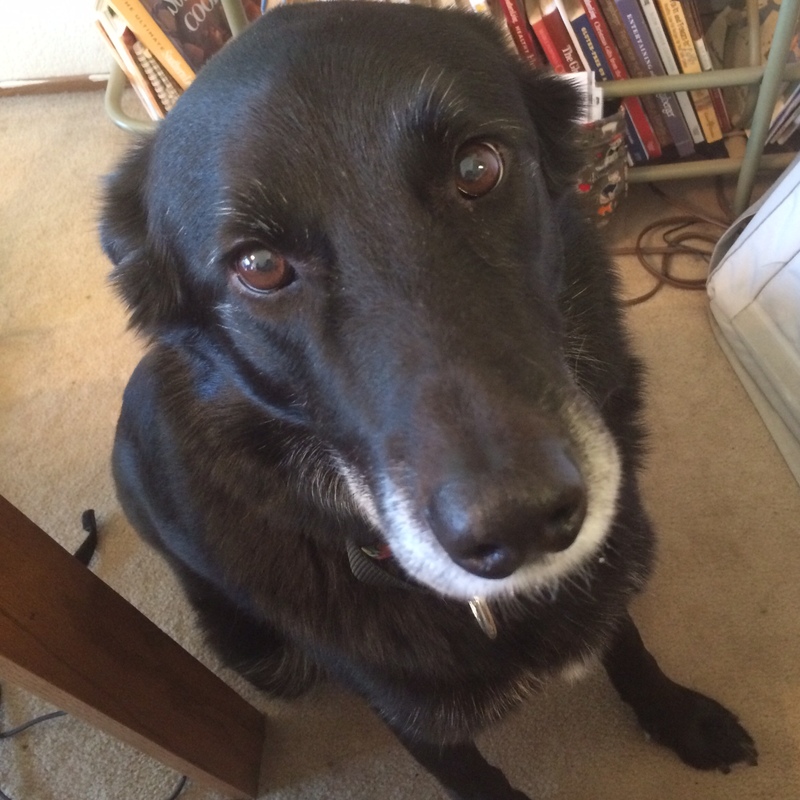 What do you mean this is the last day? It can’t be the last day. What are we going to do next? 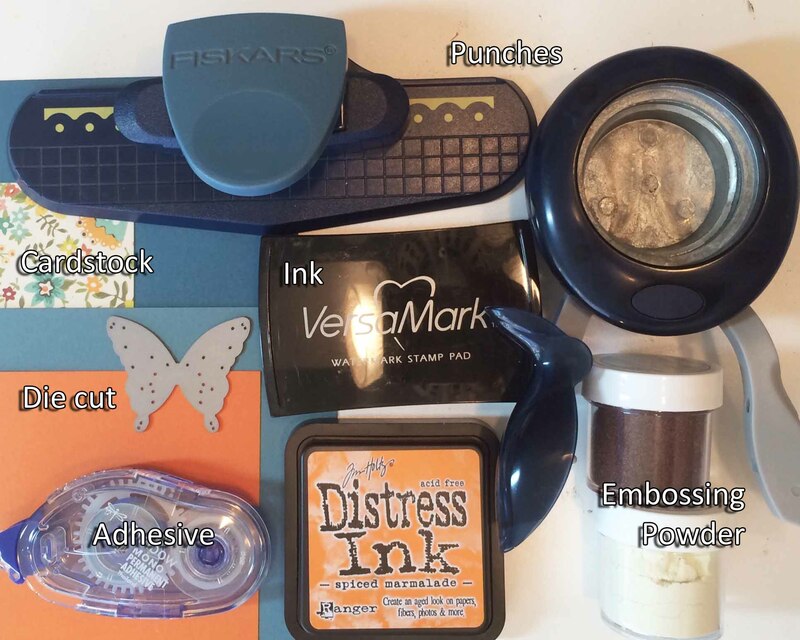 This entry was posted in 31 Days of Cards, Accountability, Cards, Challenges and Contests, Goals, Homemade, Paper Crafting and tagged 31 Days of Cards, accountability, Challenges and Contests, goals, homemade, paper crafting. Bookmark the permalink. The flower and butterfly together are so beautiful! Love it, but then I have loved them all! very nice Grace! 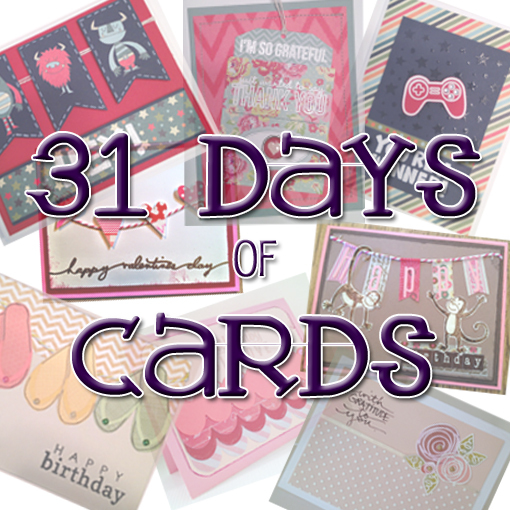 A beautiful card to wrap up your 31 days of cards!! I’m going to miss your daily card posts! Amazing work, the whole month through. Thank you so much. It was a fun challenge. I think I’ll have to do another one in the future. Thank you for all your creativeness. It as been fun seeing what you do each day. Thank you. It’s been fun and I’ve loved all your comments. So creative! I really love the butterfly and glad to see you use it in multiple cards.